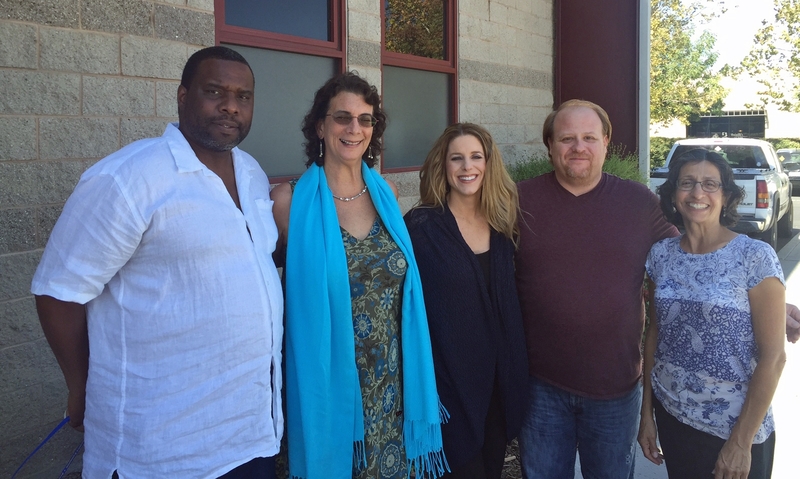 From left, Keith Nathaniel, Fe Moncloa, Shannon Horrillo, Russell Hill and Dorina Espinoza. The UC ANR 4-H youth development professionals won the National Extension Diversity Award for systematically enhancing the intercultural competency of 4-H personnel and others in California. UC 4-H Youth Development advisors Dorina Espinoza, Russell Hill, Fe Moncloa and Keith Nathaniel and 4-H associate director Shannon Horrillo have won the National Extension Diversity Award for systematically enhancing the intercultural competency of 4-H personnel and others in California. The National Extension Diversity Award was presented Sunday, Nov. 13, at the 129th Association of Public and Land-grant Universities Annual Meeting in Austin, Texas. The award, given by USDA National Institute of Food and Agriculture (NIFA), Cooperative Extension System and the APLU, honors the team for developing and institutionalizing a professional development strategy to increase staff and academics' intercultural competence. To support the development and well-being of California's culturally and ethnically diverse youth population, research indicates that building intercultural competence among youth development professionals is critical. 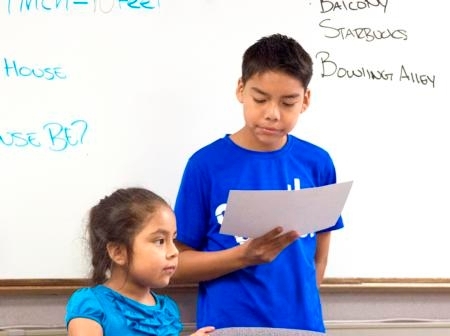 At a 4-H event, children discuss their dream community. Efforts to make 4-H programs more accessible have led to Latino children participation increasing by more than 40 percent. The cultural training is part of UC Agriculture and Natural Resource's effort to attract a more diverse group of children to participate in the 4-H Youth Development Program. “We have been making changes to our programs to remove barriers and make 4-H more accessible. We are also testing new delivery models to expand 4-H's reach, particularly among Latino youth and families,” Horrillo said. Through a pilot initiative in seven counties – Riverside, Orange, Kern, Santa Barbara, Monterey, Merced and Sonoma counties – UC ANR's 4-H Youth Development Program now offers in-school, after school and special interest clubs that explore subjects such as robotics. Children can join clubs that focus on projects for four to six weeks, rather than 4-H's year-long commitment. Bilingual and bicultural program representatives provide materials in English for the children and Spanish for parents. Although the activities are structured differently, they aim to teach Latino children science, leadership, civic engagement and other life skills taught through the traditional program. The team of change agents applied the professional development strategy over three years, providing 176 hours of intercultural communication feedback sessions, learning communities and regional conferences to enhance the intercultural competence of 65 California 4-H personnel. 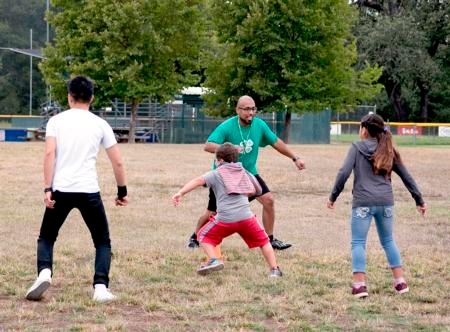 Children exercise during a 4-H summer camp in Sonoma County. 4-H has expanded its club topics and locations. Using the Intercultural Development Inventory© to assess intercultural competence after the training, evaluations showed that UC 4-H Youth Development Program personnel had acquired skills and characteristics to become more culturally competent. The program has moved from focusing on similarities among diverse people, which can mask deeper recognition of cultural differences, to recognizing the complex dimensions of diversity. The UC ANR 4-H Youth Development Program has also assembled an advisory committee for 4-H multicultural and community engagement that includes Latino leaders Mary Lou de Leon Siantz, a professor at the Betty Irene Moore School of Nursing at UC Davis and director of the Center for Advancing Multicultural Perspectives on Science (CAMPOS); Steven Olmos, chief schools officer for Santa Clara County Office of Education; Albert Maldonado Jr., youth program manager for The California Endowment; and Juan P. Garcia, deputy director of the California Hispanic Chambers of Commerce. UC ANR's action plan and resulting positive change provides a model for 4-H in other states to improve professional development and expand the program's reach. A summary of California's IDI professional development activities can be found in the National 4-H Latino Youth Outreach: Best Practices Toolkit, Professional Development.